The robbery was attempted on September 21, when the guards were on duty at Punjab National Bank's Circle Office branch in Sector 1 in Noida. A gun-battle broke out between the accused and the police late in the night. 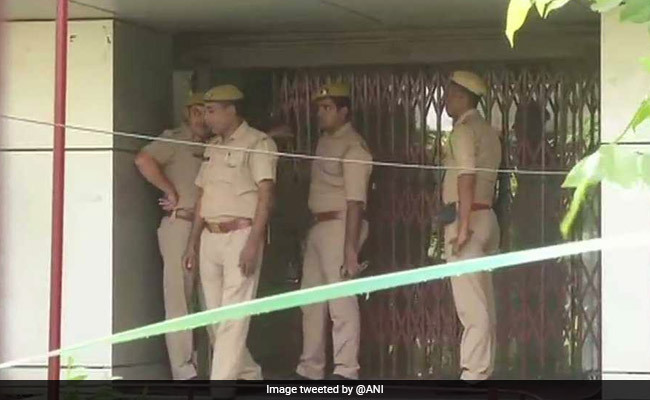 Three people, allegedly involved in the sensational bank robbery bid in which two guards were killed on September 21, were arrested following an encounter with the police in Noida Tuesday night, officials said. A gun-battle broke out between the accused and the police late in the night in the city's Sector 19 area in which two of them suffered injuries and were hospitalised, while the third was taken in custody, a senior official said. "Two of their accomplices, including a minor, managed to give the police the slip in the darkness of the night," Senior Superintendent of Police Ajay Pal Sharma said. Two private security guards of Punjab National Bank (PNB) were bludgeoned to death by unidentified assailants in an attempted robbery at its circle office in Sector 1 here on September 21. The two security personnel, Mudrika Prasad and Mukesh Yadav, were in the guard room of the bank when the accused attacked them on their head with a baton, leading to their deaths. The Noida police chief Tuesday said that probe in the matter has revealed that five persons, all members of a gang, were involved in the case. "The arrested accused have been identified as Aqil, Dinesh and Munshi. Aqil and Dinesh suffered injuries in the police firing and have been admitted in the district hospital," Sharma said. Further probe was underway and a hunt launched to nab the remaining accused, he added. According to the police, during the robbery bid, the men had tried to break into the strong room of the bank, located in the basement of the building, but failed.